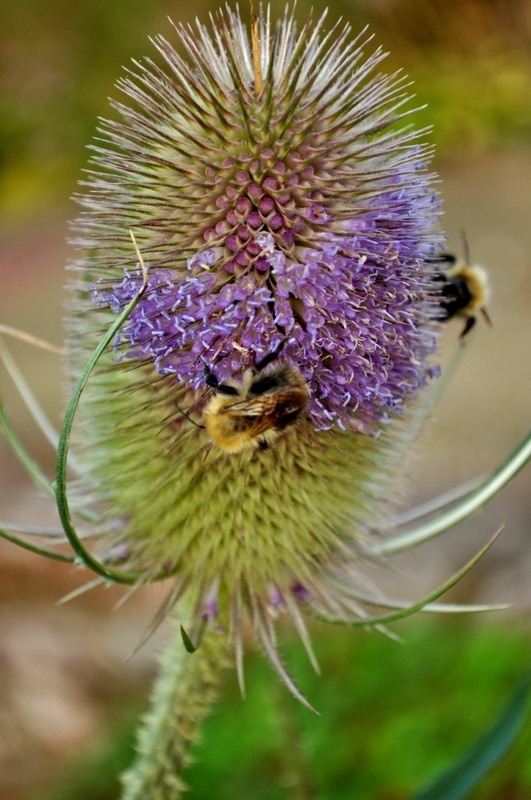 I didn't even know teasles had flowers like these, but luckily for them the bees do. Nice close shot, great detail, little fuzzy bees! !